Vancouver: Beach Holme Publishing, 2002. Stephen Henighan, a Romanian grammar book and hours of language tapes under his belt, billets with a family as an English teacher in Moldova, a country born from the dismantling of Romania during the Second World War. A Westerner in this “lost province” and former Soviet republic, Henighan feels he’s an unnerving disappointrment for many Moldovans, especially MTV-addicted, twenty-year-old Andrei. The author doesn’t own his own home, is unable to use his English to communicate with singer Michael Jackson, and has inadequate knowledge if the prices of the latest North American gadgets. As A Canadian, Henighan feels at home in this nation adrift. Fifty years of Soviet propaganda have dictated that the Moldovan language is a “degenerate local patois, only distantly related to Romanian.” The author’s innocent observation that Moldovan and Romanian are the same language is revolutionary in the tense climate of post-Soviet Moldova, and suddenly Henighan is embroiled in the fierce language-law debates that have thrown the entire country into upheaval. 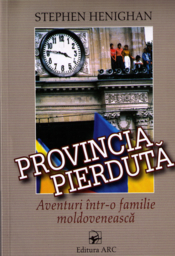 Highly recommended is Stephen Henighan’s Lost Province: Adventures in a Moldovan Family. One of the best travelogues about Moldova, it follows a Canadian’s experiences teaching English in this forgotten country and is humorous and touching while bringing up astute, even disturbing points about Soviet cultural colonisation and the inter-ethnic tension he finds there. Incredibly insightful, it will help you make the most of your trip there. 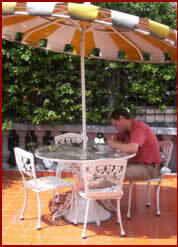 In 1994 Stephen Henighan decided to travel to Eastern Europe to teach English. Armed with a Romanian-language grammar and hours of taped lessons, Henighan applies to teach in Romania. Instead he winds up in Moldova, a former republic of the U.S.S.R. that was carved out of Romania after the Second World War. As a former Quebec resident, Henighan is uniquely qualified to examine Moldova, a country driven by language tensions, where Russian speakers ferried into the country during the Soviet era have fought to dominate the Moldovans, who speak Romanian. He tackles the issue with the kind of insight that has earned him a Governor-General’s nomination this year for another book, When Words Deny the World: The Reshaping of Canadian Writing. Henighan boards with a Moldovan family and builds close ties with his students and with Dora, the mother of the family with whom he is billeted. Henighan’s moments with the family and glimpses of Moldovan life are overshadowed by his study of the language tensions in the country. He returns to Moldova in 2001 to find much changed in Chisinau….Lack of faith in language and culture has caused Moldova to become perhaps the poorest country in Europe, where people are emigrating even to troubled Albania in search of jobs. Henighan’s writing is fresh and vivid. His underlying theme –the demoralizing effect of cultural colonization– is a weighty one, but his detailed account of everyday life is light and touching and often hilarious. Henighan writes perceptively about the interpenetration of private and public lives…Lost Province benefits from Henighan’s close observations and sympathetic accounts of those he meets. The trip with Henighan is well worth taking. He’s an astute, intelligent guide to this too-little-known part of the world. His observations about cultural influences and change are insightful, and I can only hope his travelling days are not all behind him. 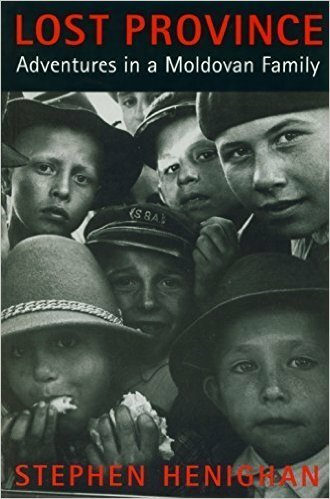 Lost Province is often a bleak book, but Henighan’s analysis and personal portraits shine needed light into the dark corners of post-Soviet Eastern Europe. The analysis of an author with an extremely clear perception of the realities….We are in the presence of a book that creates great discomfort due to the accuracy of its analyses and conclusions.